Twitter | Strike of Lightning! 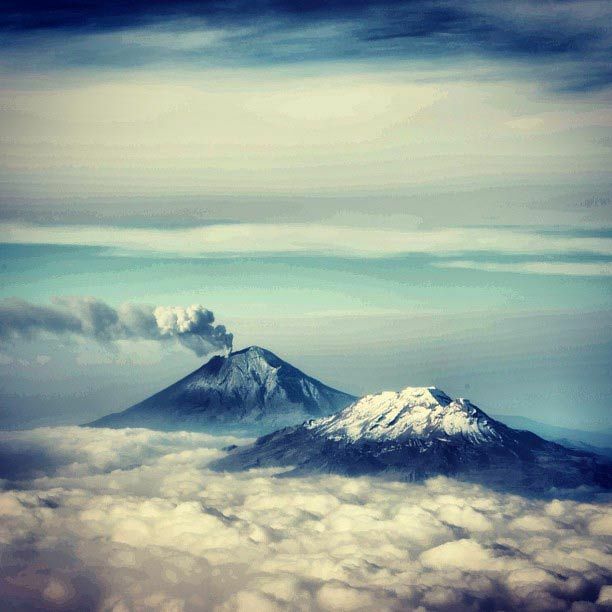 The volcano Nevado del Ruiz, in west-central Colombia recorded today, “an eruptive event” at 1740 hours local (2240 GMT), Volcanological and Seismological Observatory of Manizales (OVSM). It also recommended that the authorities and the community “continue attentive to any changes present in the activity” of the volcano. Colombian President Juan Manuel Santos, warned of the situation on the social network Twitter. The OSVM informed of the situation to the governors and Luis Piedrahita Gudio Echeverry Carlos Delgado, the departments of Caldas and Tolima, respectively, the heads of the zones of influence. scientific authorities themselves had changed the status of the alert “orange” to “yellow” on 29 May after the seismic changes, instability and fall of volcanic ash from the summit. In November 1985 a score of Caldas and Tolima stocks were hard hit after an eruption from the crater Arenas causing a thaw and a flood that killed about 23,000 of the 25,000 inhabitants of the town of Armero. The volcano Nevado del Ruiz, at an altitude of 5,364 meters above sea level, is part of the so called Nevados Natural Park Andean Central Cordillera of Colombia. An arson attack on a casino in the northern Mexican industrial city of Monterrey sparked a massive fire and killed at least 53 people, the governor of the state of Nuevo Leonsaid late on Thursday. President Felipe Calderon condemned the attack, calling it an “abhorrent and barbaric act of terror” in a message on Twitter and expressing his solidarity with the people of Nuevo Leon, of which Monterrey is the capital. Casinos in Monterrey have recently been targeted because some owners have refused to pay protection money demanded by criminal gangs linked to the country’s booming drugs trade, local media have reported. Medina said the attack was carried out by six men who arrived at the casino in two vehicles around 4:pm on Thursday. Some men entered the casino “and screamed out ‘everyone hit the floor,’” a witness who spoke on condition of anonymity told Mexican media. “I don’t know if there was a weapon that makes such a noise, but an impressive explosion followed — I never want to go through something like that again,” said the witness, who fled to the rooftop with a friend to escape the flames. The state head of civil protection, Jorge Camacho, said that the death toll was so high because many people hid in bathrooms and offices when they heard the explosions instead of heading to the emergency exits, and were trapped by the flames. Most of the victims had died of smoke inhalation, he said. It took firefighters four hours to control the flames, and Medina warned that more bodies could be found inside the casino. 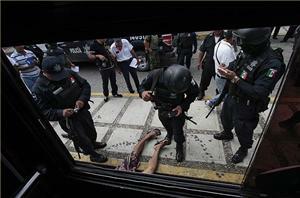 Calderon ordered interior minister Francisco Blake to Monterrey to head the government probe into the attack. Only a few years ago, Monterrey had been seen as one of Mexico’s safest cities. But Nuevo Leon state and its capital, which is home to four million people, have seen an increasing amount of drug-related violence, with more than 70 people killed in Monterrey last month alone. Nearly 850 people were killed in the state in the first half of the year, compared to 278 murder victims for all of 2010, according to a tally by the national newspaper Reforma. More than 41,000 people have died in violence linked to Mexico’s organised crime gangs since Calderon launched a military crackdown in December 2006.
committed.” “These unspeakable acts of terror will not go unpunished,” Poire said, adding federal authorities were aiding state forces in the investigation. While there was no immediate information linking the attack to drug cartels, Monterrey has seen bloody turf battles between the Zetas and Gulf cartels in recent months. Once Mexico’s symbol of development and prosperity, the city is seeing this year’s drug-related murders on a pace to double last year’s and triple those of the year before.